Me. Laughing. “No!” I say. I wish that I had a better response to that inevitable dream home question. Truth be told, I find it such a ridiculous thing to ask me. It’s actually quite similar to asking a newly engaged or married person if their significant other is their soulmate, and acting disappointed if their answer isn’t a resounding yes. So what exactly is a dream home? In my mind, it’s an idea that is either fictitious, or else attainable but only for that specific stage in a person’s life. Why? Because in the end, dream homes are fleeting. Sooner or later, we all want something different, or something more. 1. First of all, I’m only 28 years old. I can’t even plan the next year, month, or week of my life, let alone my forever dream home. 2. Secondly, I’m the breadwinner. I’m not sure if that has anything to do with it other than I just like to keep reminding my husband that he makes less than I do. ;-))) I suppose what I really mean by that statement is that right now I simply can’t afford to build the perfect house. 3. Thirdly, my dream home (at least at the moment) would be quite unrealistic. To summarize, it would involve a very old and very derelict mansion. It would also be haunted, but with nice spirits and not evil ones. It would be filled with secret passageways, and each room would be incredibly big, dark, and not overly furnished. Basically, it would be modelled after the house from the film that I have been obsessed with since birth. 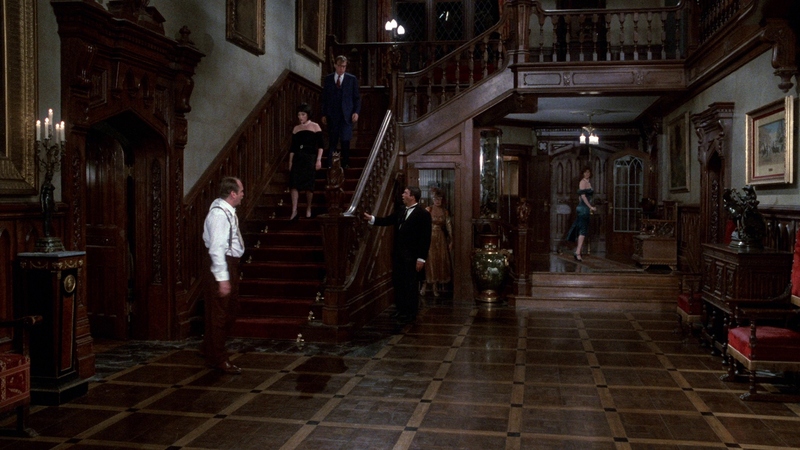 The hill house from Clue. 4. Fourthly, and most importantly, is the fact that I don’t know where I want my dream home to be located. Only twice in my life could I say that I actually loved the city that I was residing in. The others I either didn’t care for, or only grew fond of once I moved away. Even though I’ve lived in Switzerland, Australia, and in 4 of Canada’s 13 provinces and territories, I have yet to come across a place that I want to call home for the remaining years of my life. It’s as simple, or not so simple, as that. What is your take on building or finding a dream home?